Your illness does not define you; your strength and courage does. Growing up and even now I have always been the petite girl that is smaller than most but has rocking muscles. Growing up as an athlete, I knew I would never experience anything crazy in the womanhood department till later down the road compared to my friends who all began their journey early on. What I didn't know is that I would have to endure worse symptoms for life. From the age of 12, I constantly was in and out of the doctors trying to find out why I was enduring painful cramps, throwing up, never being able to feel good after eating food, and dizziness. During that specific time of the month, I would end up every day curled in a ball not being to complete all I wanted to. I would end every doctor visit in the arms of my mom, just in tears of frustration. I didn't understand why I was facing this medical mystery that nobody could figure out until one night changed my life. As a normal night took place, I did not feel right and was taken to the hospital; test after test... an anonymous doctor approached me with the news that he believes I am a candidate for endometriosis. Endometriosis is an auto-immune disease that is caused by the tissue that normally grows on the inside uterus, but grows on the outside the uterus and can spread to other parts of the body, including organs. After hearing this news, I was immediately scheduled for an exploratory surgery with a doctor that specializes in endo. 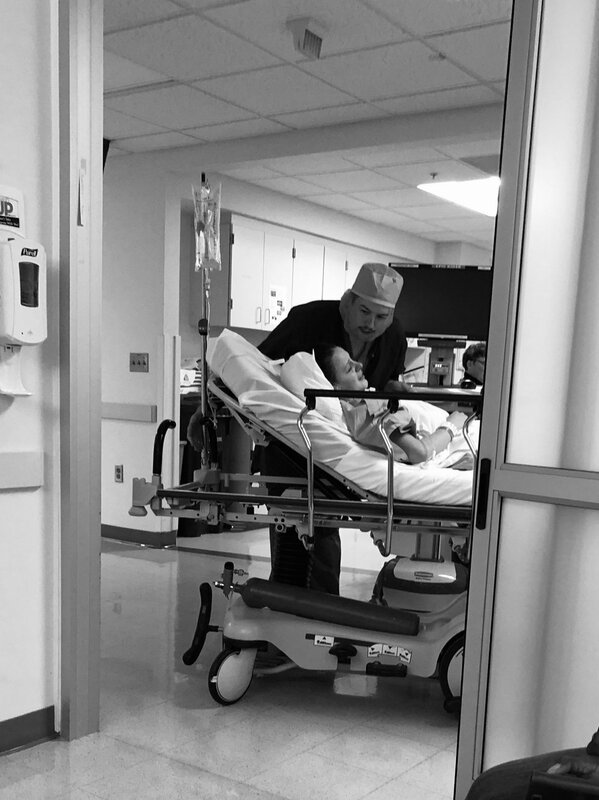 Going into my first surgery of many, I was overwhelmed with emotions knowing that I could find my answer, but I had to face my biggest fear which was surgery. After the surgery, all I remember asking my mom is if I was OK and if they found it. Well, sure enough, they did, but I was a rare case where my tissue not only grew on the outside, but it grew under my ovaries where my nerves are that control all the pain. This was causing all my pain, but it wasn't this simple. Endometriosis is a lifelong disease. Hearing news like this was so scary, but knowing that I had supporters by my side was exactly what got me through. As the years have gone on, I have tried multiple birth controls, surgeries to remove tissue and many different methods, but all have failed. I am now on a new journey with new methods that have better outcomes. Battling this disease has not only shown me that my body is capable of so much more physically than I ever thought it could be. What you input into your body can determine how you feel overall, and can be a huge effect on you not only physically but mentally. And finally you might be hit with trials that you never predicted, but you were put into your situation because YOU are strong enough to live it. To all the girls that feel that they are alone for their painful periods not only during that time of the month but consistently. Please do your body a favor, and see a certified doctor. You never know what the signs of your symptoms could be telling you. You know your body the best, and if you feel off; there is a reason! March is the month of awareness for endometriosis. Your pain has a purpose and so do you. Stay tuned for the second part of this series on endometriosis information, methods that helped me and bringing awareness to this disease.